Today I am going to provide you the Best WordPress Security Plugins which will increase your WordPress security. Securing the WordPress is the most common issue nowadays. Due to Increasing hacking activities, this is the major threat to WordPress users. Wordprss is the largest blogging platform used my many industries and bloggers. But due to the less security of wordpress it becomes the spot for hackers. Hacking the wordpress is easy as compared to other blogging platform like Blogger. As there are many tools available on the Internet to which provide the security related details to hackers. There are the many ways through which hackers breakdown the security of wordpress. Some of them are using Infected Themea or Plugins. Most of the themes and plugin available for wordpress are Premium, so you have to pay a lot of money to use them. But instead of using the premium pulgins and themes from developers users are using the cracked or nulled version of them. Cracked version of themes and plugins are available for free on the internet. But they have the security related problems. Mostly these nulled versions of plugins and themes are infected with the malware, so when you upload these plugins and themes to your server, your server got affected with this malware. Hackers provide this type of plugins to user so that they can access all the wordpress data of a particular site. After uploading this type of plugin hackers has all information about your WordPress confing file, Database, Admin Password and much more. 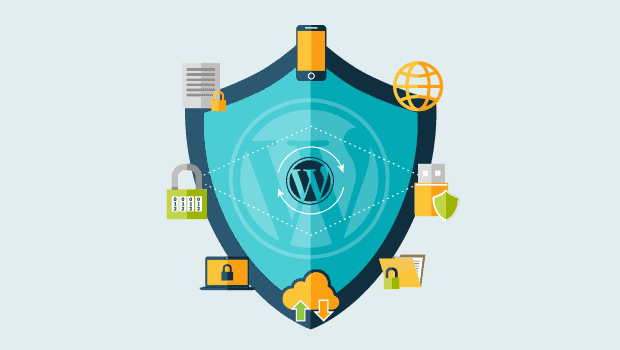 Increaseing of wordpress security is an easy task. If you really want to increase security of your blog then first you have to stop using cracked or nulled version of plugins and themes. Instead of using cracked version you can buy themes and plugin from developers, it will cost only for the first time. Buying from developers also provide you the original files and security with support. So wheneever you think thats something is not working properly you can take the full benifits of support. Along with this always use strong Password for Cpanel, Wp Dashboard, Dabatabase. There are many plugins available in the market which will help you to increase the security of wordpress. Some of those plugin are listed here. The Sucuri Security plugin offers both free and paid versions, yet the majority of websites should be fine with the free plugin. For instance, the website firewall requires you to pay for a Sucuri plan, but not every webmaster feels like they need that type of security. Free features of Sucuri includes auditing of your site which confirms how its scanning your site and provide a report of it. The paide version contains extra features including every 12 hours scanning. It offers multiple variations of SSL certificates. You do have to pay for these. It provide a good customer support through chats and emails. Instant Notification of Suspicious activities. Blacklist monitoring, Malware Scanning, Security Hardening. It is the best wordpress security plugins for the begineers as well as experts.This provide you the most out of security to protect your site from malwares, hackrers and spywares. The wordfence plugin is available free as well as in paid version. For beginners free veriosn is enough to take care of your site. It has a full firewall suite with tools for country blocking, manual blocking, brute force protection, real-time threat defense, and a web application firewall. The scan portion of the plugin fights off malware, real-time threats, and spam.. This plugin is bundle of free features for wordpress user. This plugins is best in its own way, it provides better security and that also in free. It has three categories, Basic, Intermediate and Advanced so anyone can use this tool. Advanced user can also use this plugin to incease security of wordpress database and registration. The WordPress security plugin has a blacklist tool where you can set certain requirements to block a user. You can backup .htaccess and .wp-config files. Restore all backed up data easily. Jetpack is the most familiar tool to wordpress users. It is the most popular plugin used by many peoples. This plugin also came as default in most of the hosting and you setup wordpress for first time. Major of the tools are included in the jetpack some of them are Spam Protection, CDN , Lazy load effects,Publicize and much more. Some security tool are also included in jetpack to incease secutity. Spam protection is used to delete all Spam Comments and it also bundle up with tools to protect againts Brutforce attack. The free plan provides a great security to small sites but if you want to use it for big site then you have to purchase a pro version. The premium plans turn the plugin into more of a suite, with benefits like backups, spam protection, and security scanning. Plugin updates are managed entirely through Jetpack. Bulletproof security is not the most user-friendly WordPress security plugin, but it does the job for advanced developers who want to take advantage of unique settings and features like the anti-exploit guard and the online Base64 decoder. The free version is packed with enough features for the average website. The database backups are provided in the free version. You can hide individual plugin folders. The maintenance mode functionality is not something you would find in most other security plugins. Continue Your Reading On Page 2..